BTable is an easy-to-use HTML Table jQuery plugin. You can create full editable HTML tables in seconds! 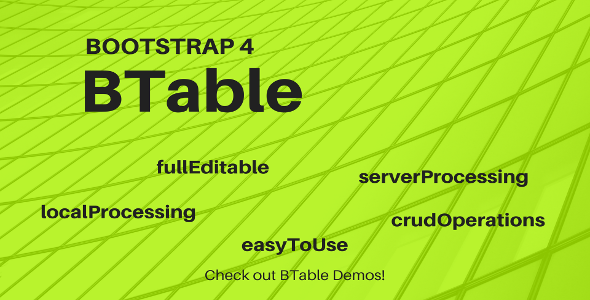 BTable’s style is based on Bootstrap 4 and it uses JSON object arrays as data source. The best way to learn and see how BTable works is through these demos here! More BTable’s features are coming!